Many of us day-dream of fulfilling our lifelong ambitions and entrepreneurial dreams one day, but talented Ugandan designer, Juliana Nasasira, went from a career in property management to becoming a global fashion brand builder in the making. She is a testimony to the power of passion, drive and a real can-do attitude. 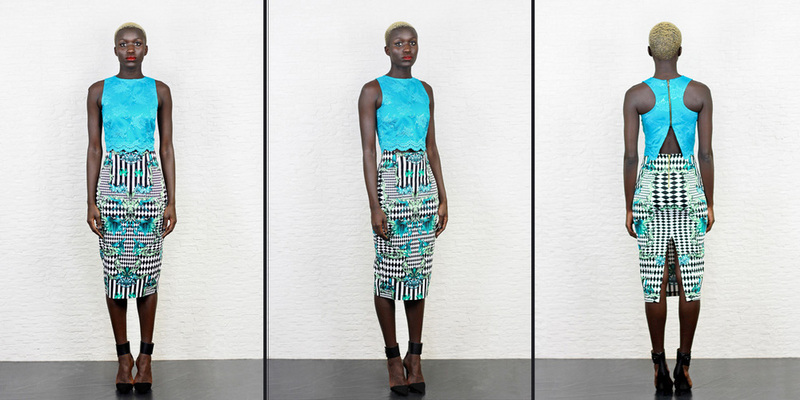 As part of the February Focus on African Women Designers, Lionesses of Africa spoke to Juliana about her entrepreneurial journey and became inspired by her real love of her work, her industry and being a design entrepreneur. Launched in 2012, Kwesh is a Ugandan-based fashion brand that creates ready-to-wear and bespoke apparel for both women and men. We combine contemporary African-inspired design with skilfully crafted quality clothing. "The decision to pursue fashion was brought on mainly by the realisation that it wasn’t ‘too late’ to go after what I’d always dreamed of doing, and that a career in fashion could be profitable in Uganda." I always had a love for creativity and I saw fashion design as an avenue to be creative and to express myself artistically through clothes. This coupled with the realisation of a need for more local fashion brands, inspired me to study fashion design with the intention of creating a new fashion brand based in Uganda. What makes the Kwesh brand and clothing range so unique? We aim to deliver innovative design, style and quality craftsmanship to our clients. After a few years in the industry, Kwesh has created a strong presence for itself in the marketplace. "Being an entrepreneur in a field that I love is a blessing. It allows me the freedom to be creative every day." My team consists of three full-time tailors and two part-time assistants. I do not come from an entrepreneurial background; my father is an Engineer and Politician, while my mother worked as a banker for nearly 30 years, and recently retired. They have both become more entrepreneurial in the past few years. I did not start out as an entrepreneur either; my undergraduate degree was in Property Management & Investment. I was initially employed as a Property Valuer before applying to Fashion School. The decision to pursue fashion was brought on mainly by the realisation that it wasn’t ‘too late’ to go after what I’d always dreamed of doing, and that a career in fashion could be profitable in Uganda. My vision is for Kwesh to be a distinct and internationally competitive fashion brand that will continue to grow and evolve. At the moment the brand is available in Uganda and Kenya, but my goal is to become accessible worldwide. "Passion and patience are key! Self-employment comes with a lot of perks as well as a lot of responsibility. It’s vital to choose a field that you’re passionate about because that’s what will give you the drive and patience necessary to succeed." Being an entrepreneur in a field that I love is a blessing. It allows me the freedom to be creative every day. It is also a risky field in that you can never be certain of what response you’ll get from your work. So, having my work be appreciated and seeing it worn by people is incredibly rewarding. Passion and patience are key! Self-employment comes with a lot of perks as well as a lot of responsibility. It’s vital to choose a field that you’re passionate about because that’s what will give you the drive and patience necessary to succeed. Since the launch of Kwesh in Uganda less than 3 years ago, I have faced a lot of challenges that come with trying to start and run a fashion business, particularly in this part of the world. I got into fashion because I love the creative side of it, but I soon realised that it is very much a business. It is important to recognise early on that success requires a lot more than creativity.